I’m sure we’ve all had our brushes with the law. A recent article I read about a bikepacking trip in California left me scratching my head a bit. I get it: Sometimes, you get to where you’re going and are met by a gate with a NO TRESPASSING sign. You’re out in the middle of nowhere. No one in sight. To go around this may be completely unreasonable. So you’ve got act now and request forgiveness later. Whether you simply just don’t agree with the law or you think it’s BS that a landowner has restricted access is immaterial. Most times, if you are caught, being respectful, explaining your situation and requesting permission after the fact is AOK. Until it isn’t and you’re in a whole heap of trouble. Route planning on long rides is paramount. I’m not sure how the laws are written in California, but here in NH, if it is a 6th class road aka a highway that has fallen out of use and not maintained by the town, it remains open to public access by law. 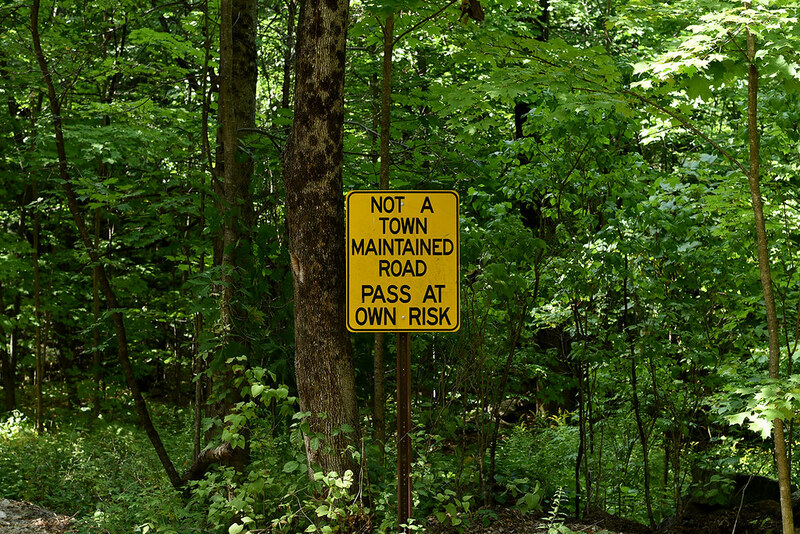 The town has to vote to remove it even if they don’t maintain it, but public access is really important so there really has to be a good reason to do this. In some cases, if it’s subject to bars and gates, the bars and gates are in place because of erosion issues caused by ATV/OHRV/4X4’s has been requested not to be permitted but passive access is acceptable, aka bicycles/foot traffic. Of note in NH, there’s an RSA that also stipulates that the landowner is not responsible for injury (Chapter 508, Section 508:14). I volunteer with my towns Conservation Commission and we’ve run into the issue of access a bunch, with one shining example of abuse and confusion right up the street from me which resulted in the landowner posting a huge easement protected tract of land (it was not a public easement). 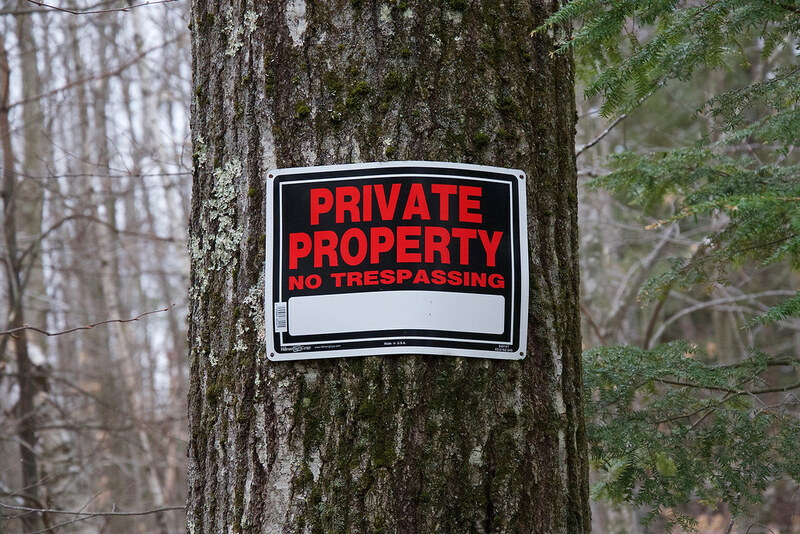 Speaking directly with many landowners, it’s not so much the landowner does not want you on their land, but more so they don’t like the potential for abuse or there is a history of abuse by another user group and hence it’s posted (no trespassing). Many have been taken advantage of. I’d say here in my town of NH, a good percentage of landowners who own very large tracts of land don’t mind you using it and they actually openly encourage use but they simply want to know who is on their land and what it is that person/group is doing. The local trail network down the street is largely composed of all private/easement-protected land with a dash of public easement land as well. It’s all permission-based because of acting in good faith by asking for permission first, respecting landowners wishes and setting the example of low impact/leave no trace. Most if not all of the complaints stem from 4×4 and ATV/OHRV use and/or hunting. However, if the land is posted, that request should be respected and that’s regardless of state. That, to me, is just respectful. It’s not for the cycling community to judge why landowners have posted their land. Perhaps a better tack is to work with landowners to gain access by permission with best practice and by setting the example for the cycling community at large. 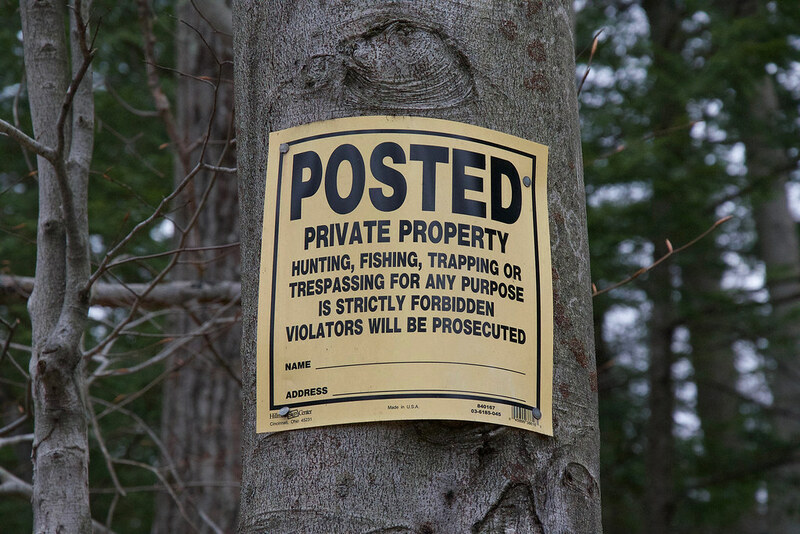 Working with state and local lawmakers to change current law to remove liability from landowners may also be an important first step. When you trespass, you’re not acting in good faith and hence are disrespectful to the landowners’ request and cast cyclists in a not so favorable light. I completely agree that it’s ridiculous how access is structured currently is some states. But as cyclists, we can work towards setting the example, working with state and local governments, partnering with local communities and landowners to change the perception of access. Please, please, please: Always ask permission and if the answer is no, respect that request.